As we wait for the start of the 2016 season, which is only two weeks away, I would like to look back at what I consider to be the top stories of 2015. 10- In Gee Chun Wins the U.S. Open. For the second time in the last 5 years, the U.S. Open was won by a non-LPGA member from South Korea. It was done in spectacular fashion as In Gee birdied the 15th, 16th, and 17th hole on Sunday to beat Amy Yang by one stroke. It was the 13th time in the last 14 years (Annika Sorenstam won in 2006), that the U.S. Open trophy went to either an American or South Korean golfer. 9- Kris Tamulis wins the Yokohama Tire LPGA Classic. It was her first LPGA victory, in her 11th year on tour. She did it at the age of 34, and it was her 186th start. Her birdie on the 71st hole, was good enough to beat Austin Ernst and Yani Tseng by one stroke. Alison Lee picked up her ball when she thought she heard someone say that her 14 inch putt was "good." Suzann Pettersen protested. It led to the biggest debate in years. It also resulted in tears from both Alison and Charley Hull. The hole was awarded to Europe. 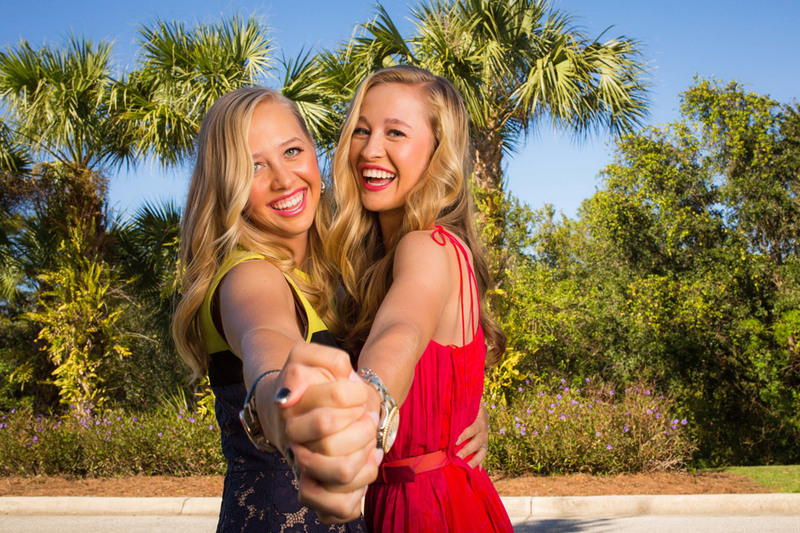 It was not a shining moment for the LPGA or for women's golf. Pettersen issued an apology the following day. I refuse to rate this as the biggest story of the year, like I have seen elsewhere, as this was such a great year for women's golf, and this should not be at the forefront. 7- Sei Young chips in, and then holes out to win the Lotte Championship. 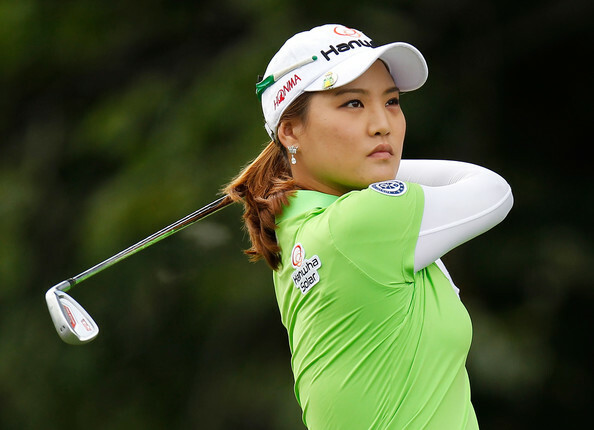 She first chipped in from 20 feet on the 18th hole to force a playoff with Inbee Park. She then returned to the 18th hole and holed out from 155 yards for eagle. 6- Brittany Lincicome eagles final hole and wins the ANA Inspiration. It was the second time she eagled the 72nd hole to win this major championship. She first did it in 2009. This time it forced a playoff with Stacy Lewis, which she won the 3rd playoff hole. 5- Amy Yang birdies the entire back 9 at the KEB Hana Bank Championship. She birdied every hole on the back nine on Sunday to shoot a 9-under 27, which is the lowest score in relation to par in LPGA history. Unfortunately, it wasn't enough, as she finished 2 strokes behind Lexi Thompson. 4- Brooke Henderson wins Cambia Classic and earns tour card. She earned her LPGA card in a most dramatic fashion, trouncing the Cambia Classic field by 8 strokes. She set a tournament scoring record with her 21-under par 267 total. The victory margin was also a new record. She did this as a Monday qualifier as she was not a tour member. 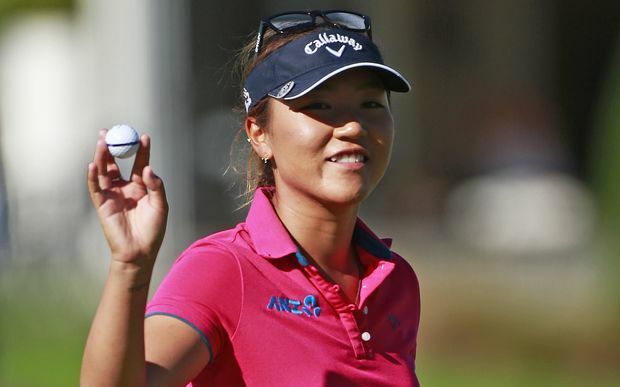 3- Lydia Ko wins her first major championship. She became the youngest major championship winner ever when she won the Evian Championship. She did it in style as she won by a whopping 6 strokes. She would go on to win 5 times in 2015. She would also become the youngest to win the Rolex Player of the year, the youngest to win ten tournaments, and the youngest to reach #1 in the Rolex Rankings. 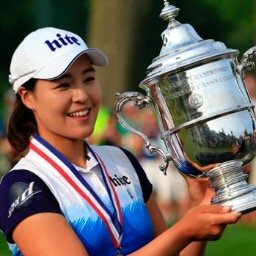 2- Inbee Park gets 27th point to qualify for the LPGA Hall of Fame. She is the youngest person ever to accomplish this, and it certainly was well deserved. Her win at the Ricoh British Open was her 4th different major championship victory. Does she now have the career grand slam? That is up for debate as there is now 5 majors on the LPGA tour. She would go on to win the Vare Trophy, and total 5 wins in 2015. 1- Gerina Piller drains 9 foot putt to keep U.S. hopes alive at Solheim Cup. If she missed the putt it was all over. The European team would retain the cup. As we all know by now it went in the hole, and the biggest comeback in Solheim Cup history was well on its way. Team USA would win all the remaining points on the board to overcome a 4 point deficit, and bring the cup back to the United States. Gerina Piller's 9 foot putt kept team USA's hopes alive.